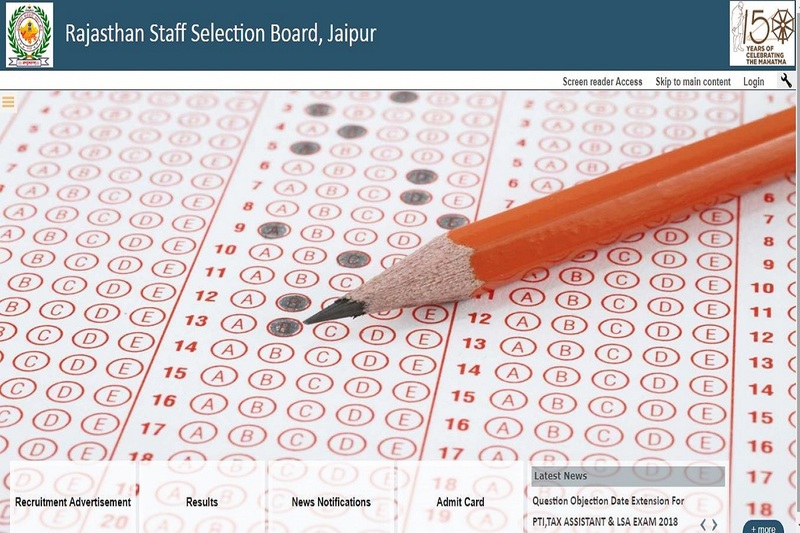 RSMSSB results: All the candidates can check their results from the official website. RSMSSB results: The Rajasthan Subordinate and Ministerial Services Selection Board has declared the tax assistant examination results 2018. All the candidates can check their results from the official website. The examination was conducted on October 14 in two sessions. The candidates can download their results using the login ID and password. • On the next page, login using user ID and password. The total number of vacant posts is 162. The online application process started at April 19 and the application process ended at May 18, 2019. The candidates were able to download the admit card from the official website on October 8, 2018.